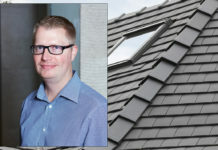 This month, Richard Bishop, category manager for roof at Wienerberger takes a closer look at the role of underlays in controlling condensation in the roof. 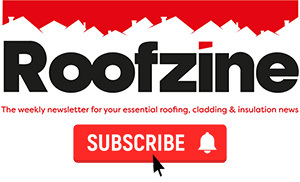 Underlay has a significant role to play in the construction of a successful roof space. Firstly, it offers resistance to wind loads on a roof. 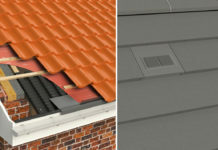 Secondly, it provides a waterproof layer below the roof tiles, ensuring that water does not enter the batten cavity. And finally, it helps to control excessive levels of condensation that can occur in roof spaces. How can underlay help with condensation? In a roof space, condensation typically appears on the underside of roof underlay as it is a cold surface. Temporary condensation is nothing to be too concerned about when it occurs for a few days in cold weather, or when the building fabric of a newbuild home is drying out during the first 12 months following completion. However, this build-up of condensation can be avoided through installing passive ventilation systems and choosing an appropriate underlay. Bituminous (Type 1F) underlays have been used for many years but are waning in popularity in favour of more modern “breathable” membranes. It acts as an extremely effective secondary barrier but does little for the release of any moisture or vapour. 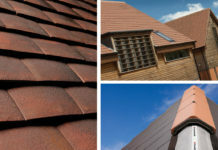 However, this traditional material can still be used as part of a well-ventilated roof space, providing that it is used in conjunction with appropriate ventilation systems, as with any kind of underlay. Vapour permeable underlays have been used in European construction since the 1970s and were certified by the BBA in 1982 for use in tiled ventilated cold roof constructions. With widespread use in the UK, they allow water vapour to escape whilst providing a barrier to wind and rain, letting moisture out without letting it in. This underlay is a very effective supplementary method of reducing condensation levels when used in conjunction with an appropriate ventilation system. One major difference between 1F and VPM is the need to tape and drape. 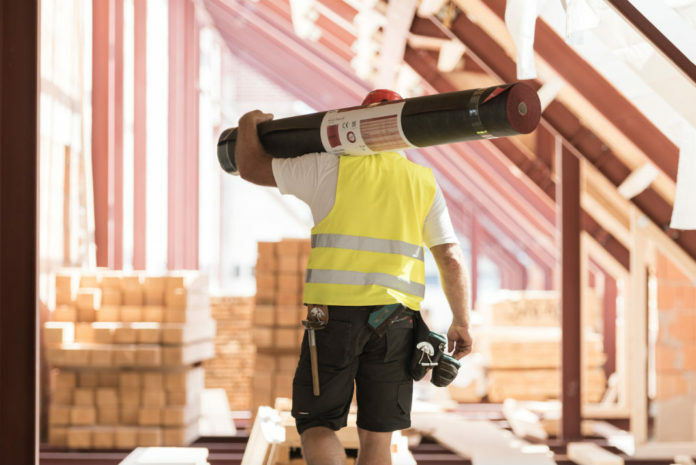 It’s a common misconception that you can just lay this like a 1F felt, but it is imperative that you follow the guidance for your roof type and location. A newer addition to the underlay market, air permeable membranes are promoted as having the ability to release even more moisture than their vapour permeable counterparts. Some manufacturers claim that it can be used in isolation as a complete means of ventilation, which is unlikely as it offers no method of circulating air throughout roof space. Be aware that this type of underlay is not yet acknowledged by the British Standard BS 5250: ‘Code of practice for control of condensation in buildings’, covered by housing regulations or supported by any recognised testing. This does not mean avoid them, but you must pay attention to manufacturer’s instructions and consider the impact of your choices on the airflow of the void. Air permeable underlays do come with a higher price tag, and their extra permeability in comparison to vapour permeable products isn’t necessarily required if you have an adequate ventilation system in place, however it does provide an extra level of performance if a belt and braces approach is needed. Any type of membrane needs to be correctly installed to perform as it should. It is essential to consult manufacturer’s instructions as not all underlays, even those marketed as “breathable”, are the same. Underlay manufacturers will also provide guidance on the suitability of their products for any given location. A common mistake made when installing underlay is that many people don’t tape down laps to prevent them flapping in windy conditions. The permeability of a modern, lightweight underlay is rendered completely ineffective if it is not secured correctly to prevent wind and rain ingress. We also advise that tiles should not be cut near exposed membranes. The dust particles can block the tiny holes in permeable underlays, affecting their ability to let moisture pass though. In short, be more considerate with the use of permeable products and do not treat them like a 1F underlay. Underlays of any description should not be used as a sole means of ventilation, as this is not what they are designed to do. A quick fix, cost-cutting solution does not exist, with the combination of a suitable ventilation system and good quality underlay being the best way of successfully controlling condensation in a roof space, ensuring the building will perform as it needs to for now and the future.